Another golden oldie. Where on Earth am I?!?! 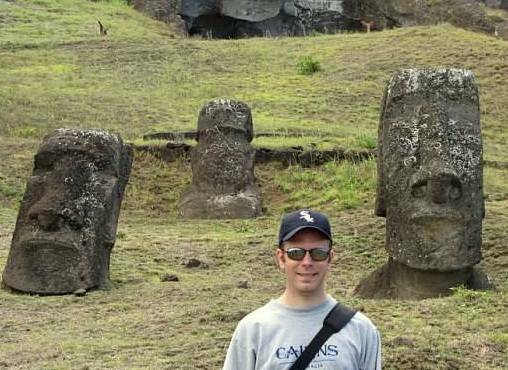 Although not *technically* accurate, Easter Island – which I visited in 2009 – is generally considered to be the most remote place on earth. Cruise ships are not allowed to dock here (there isn’t a proper harbor anyway), and the only two cities you can fly here from – Santiago, Chile and Papeete, Tahiti are each 5.5 hours by plane. The wall is hard but this is too easy right? That’s correct Mark, but in all fairness, these Moai statues are popping up at museums and parks all around the world. I’ve seen them in LA, New York, Vina del Mar, Paris, Mexico City….